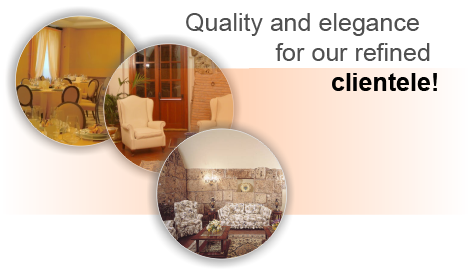 Welcome to Hotel Miramonti's web site. The hotel is the oldest building in the city, a national monument, and a hotel since 1971. Today it proposes new solutions to its fond clientele after recently renovating it using the highest of standards for the most refined of customers. SPECIAL DOUBLE ROOM RATE FOR APRIL . DOUBLE ROOM SUPERIOR EURO 80,00 BREAKFAST INCLUDED. SPECIAL RATE APRIL 2009 SINGLE ROOM SINGLE ROOM SPECIAL APRIL RATE EURO 55,00 BREAKFAST INCLUDED . ©2007 MIRAMONTI HOTEL RIETI All rights reserved.